♦ CARTS: Carts are compulsory at Blue Canyon-Canyon. One golfer/cart. Pay for cart rental directly to the golf club pro shop! Golf carts are strictly prohibited on fairways and must be driven on designated path only! 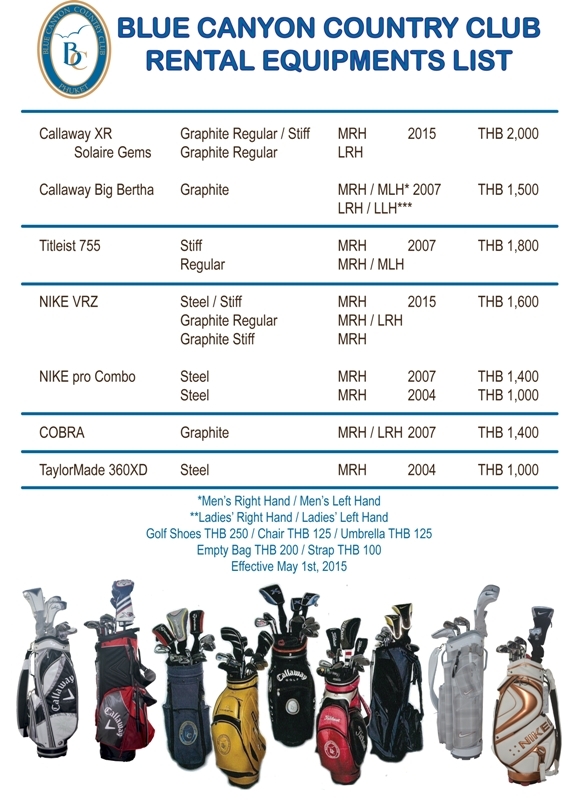 ♦ NON-GOLFERS: Non golfers accompanying golfers must pay a fee of 3850 baht (includes cart & caddy) direct to the golf club. Non golfers are expected to dress appropriate to the golf course (correct golf attire). ♦ RAIN CHECK POLICY: Click here for details. 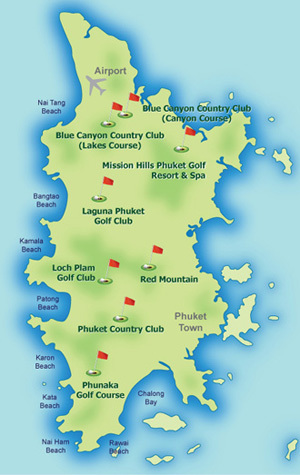 When you want to play the most famous golf course in not only Phuket, but southern Thailand, the Canyon Course at Blue Canyon Country Club is a name that conjures images of players such as Tiger Woods, Ernie Els and Fred Couples vying for supremacy at the Johnnie Walker Classic. This 18-hole, Par-72 Championship course is easily one of the most aesthetically pleasing courses you will find in Thailand. 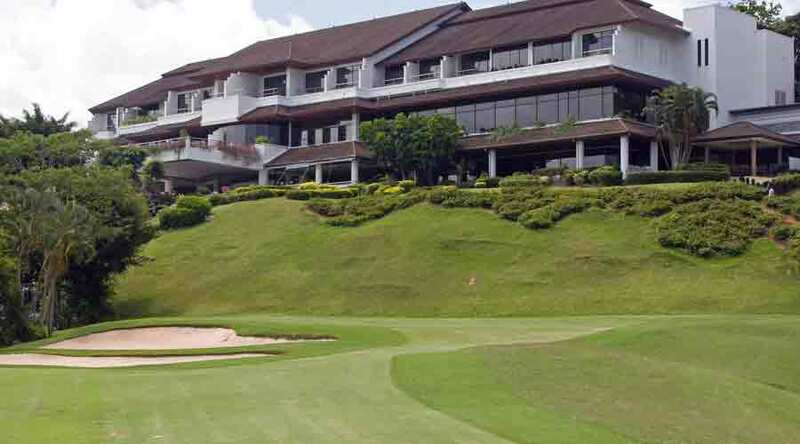 Located in the north-west of the island, near to Phuket International Airport, approximately a 45-minute drive from Patong, the course is set over 7,179 yards, with world-class onsite facilities. 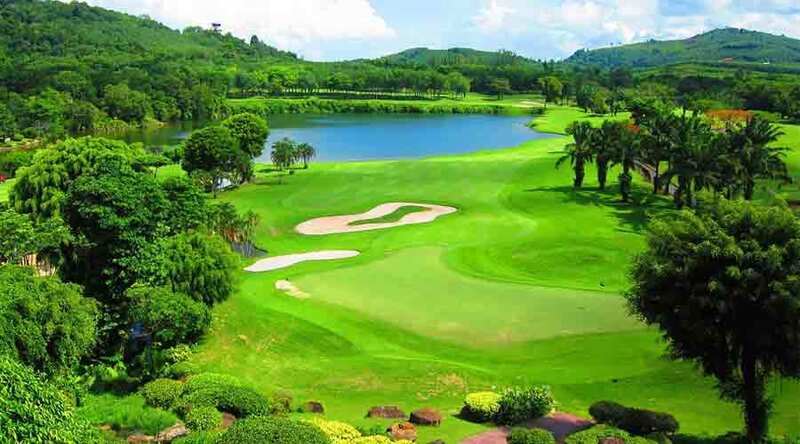 Set in the footprints of an old tin-mine that harks back to Phuket’s industrious past, as its name suggests, the course is the home to some amazing natural canyons, rolling streams, sheer cliffs with massive drops and lots of tree-lined fairways and bunker defense systems. 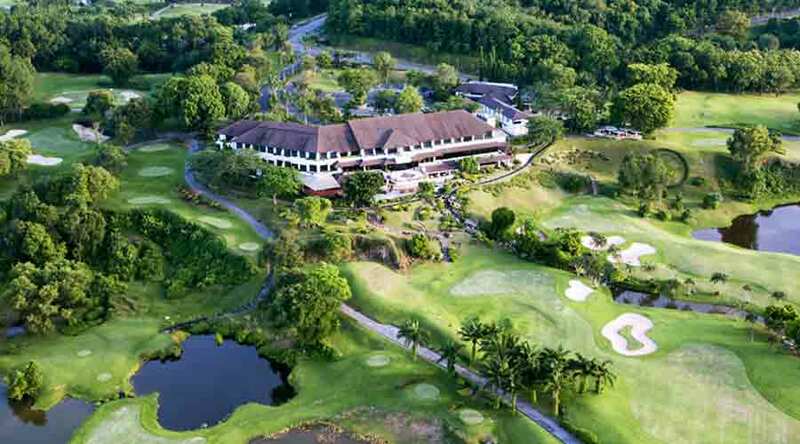 The front 9-holes meander through pam-oil tree-lined fairways, although the back 9-holes is home to some of the best you will find, especially through 11 to 15, which is known as one fo the most challenging cluster of back-to-back holes in Thailand. The stunning yet daunting canyon comes into play on famous par-4 13th, where you have to drive over the canyon with your tee shot; and the breathtaking par-3 17th, which is known as one of the best par-3s in Asia. As you would imagine from a Championship course, the fairways are like carpets and the greens are ultra-fast so make sure you have a steady hand. 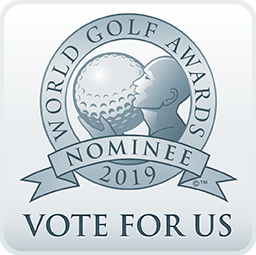 The facilities on the course are on the ageing side but are still high quality, with 3 restaurants serving all manner of cuisine styles, a large pro-shop, onsite accommodation, nice locker rooms, massage options and a spa. There is also limited availability for those who prefer to ride instead of walk. The par-3 17th hole is one of the most daunting tee-shots in Asia. Once called the “best par-3 in golf” by Fred Couples, this 200-yard par-3 has an elevated tee-off, hitting over the canyon down to an island green surrounded by water and bunkers. Some people believe the hole has the toughest approach shot in golf.